Home / Author / Martin Budd / Why am I So Exhausted? Chronic fatigue is a symptom, not a condition in its own right, and can have many causes. Those possible causes need careful investigation. Chronic fatigue is a symptom, not a condition in its own right, and can have many causes. Like as not, if youve sought help from a practitioner, or a book, before now the focus will have been on just one, or maybe a few, of the possible causes. Almost certainly this will have meant full recovery is elusive. Why Am I So Exhausted? 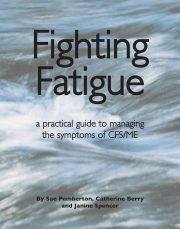 may be able to help because it: is based on Martin Budds 40+ years of successfully treating patients with chronic fatigue syndrome defines CFS broadly and simply as long-term unexplained fatigue rather than worrying about exact labels is based on naturopathic principles: Diagnosis and treatment must take into account all aspects of the individual sufferer; In particular, blood test results should be interpreted in the light of the individuals symptoms and history; Where possible, treatment should be based on diet and nutritional supplements. 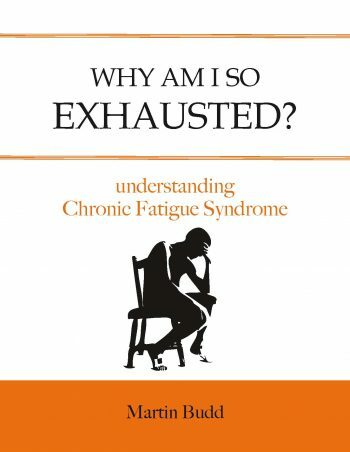 Martin explains that chronic fatigue is very rarely caused by a single disease, but by several, generally interrelated health problems; shows how the multiple causes can be identified and treated; describes how the physical effects of long-term stress can lead to health problems and how this can result in sufferers problems being interpreted as all in the mind; and he includes detailed patient case histories that show how complex chronic fatigue syndrome can be. Martin Budd ND MRN is a Naturopathic Consultant who has researched, diagnosed and treated patients with chronic fatigue for more than 40 years. Often working alongside patients’ GPs/Consultants to find a solution, his approach looks beyond the current reliance on blood tests to find the causes of the full range of symptoms and of bodily malfunction as well as disease. Martin is the author of seven earlier books, including Why Am I So Tired? (thyroid disease), Why Can’t I Lose Weight? and Diets for Diabetics, many of which have also been published in other languages.